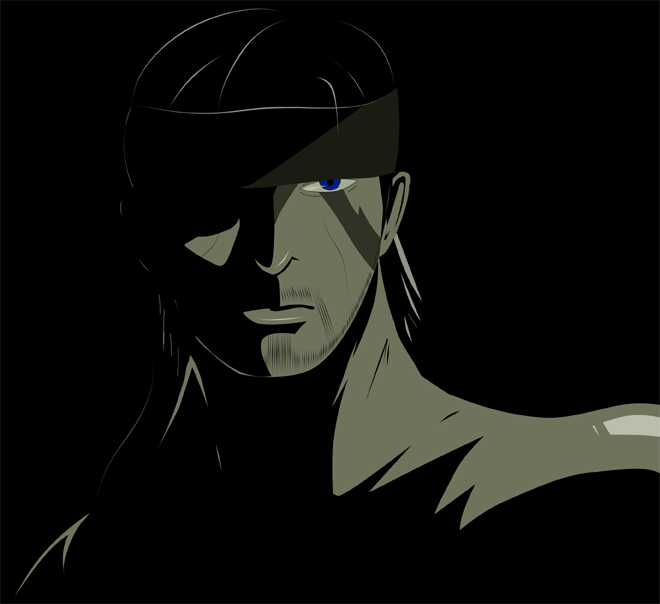 Based on this Kazuya pic by lilykane, here's an imitated style/pose Big Boss from the Metal Gear series. I found the Kazuya pic while browing through my friend Kristen's deviantART favorites and showed it to my boyfriend. He loved the style and said he wished there was a Big Boss pic like it. So I made him one. The Kazuya pic and a few official Metal Gear pictures were used for reference. He went to bed before it was finished but really liked the work-in-progress. There's a few things I wish I did better but so long as he likes it, that's what really matters in this case.